Logic says his opportunity is on special teams but can he run his way up the depth chart? The New York Jets are finding out what everyone in the CIAA has known for a while. Trent Cannon is fast and if he finds a hole, you can forget about it. Yes, Trent Cannon at #1 he’s having one hell of a camp the kid can fly! Won’t be surprised if he beats Rawls for the roster spot. Cannon finds himself in a crowded field for the running back job but could find an early home on special teams. 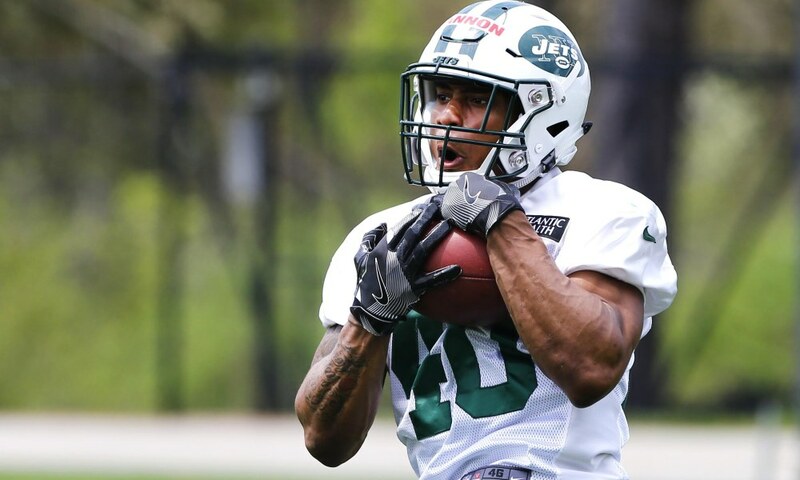 His play in camp so far has been described as “explosive” and “eye-popping.” The Jets haven’t had a difference maker on kick-off or punt return in a while, although it’s still early Cannon could be that guy. Don’t entirely count him out at running back either. Second-year player Eli McGuire broke his foot early in training camp and will be out for six weeks. McGuire ran the ball 88 times last season for 315 yards and a touchdown, someone will have to step up and fill that void. It did take Cannon a few days to get up to speed, however. On the first day of practice, he was muffing punts and missing holes, but he has since settled down and is playing to his potential. The top three options for the Jets at running back currently seem to be Isaiah Crowell, Bilal Powell, and Thomas Rawls. But here comes Cannon in the rearview mirror.